I’m so excited to announce the launch of Kavalis Jewelry’s brand new line – the Personalized Bridal Collection! What better way to celebrate and commemorate that special day than with a piece that’s been custom engraved with a meaningful message? 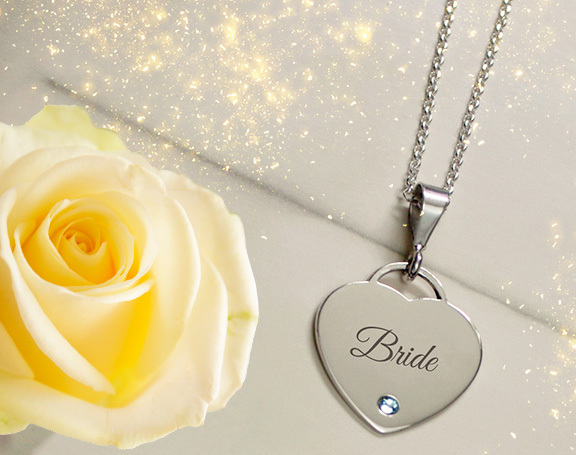 Brides can choose from lockets, heart pendants, charms, and many more pieces that can be custom engraved with a word, phrase, or date. Wearing it close to their heart, they’ll always have a memory of that beautiful day close at hand. And what a gift for the mother of the bride (or groom!)! 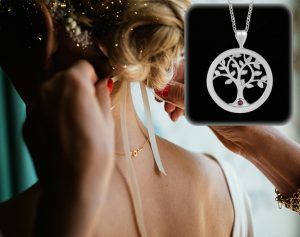 Our Tree of Life pendants can be engraved with names or a message, and make a beautiful statement piece for the proud mamas to wear at the wedding and beyond. Looking for a gift for your bridesmaids? 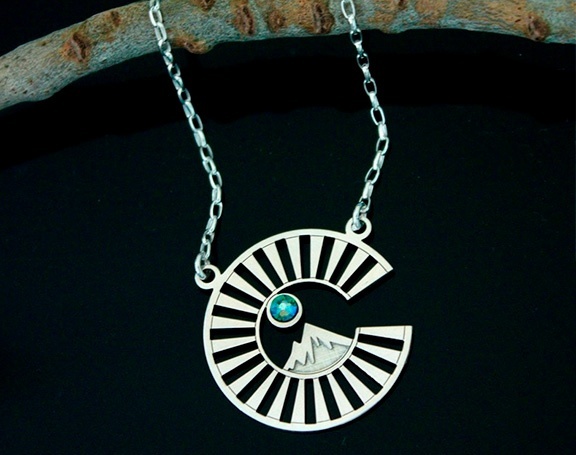 Why not host a jewelry engraving party? 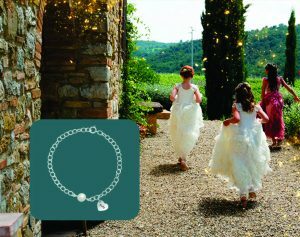 With a charm for each bridesmaid, I can help each member of your bridal party engrave messages with personal significance, so it can be a necklace or bracelet they treasure always. And if you’re looking for other gift ideas, be sure to take a peek at our stemware charms. You can have them custom engraved with the date of your wedding, your initials, or anything else you’d like. But the most unique thing about these charms is the fact that you can have a QR code engraved on the back of each one, so that your bridal party or even your guests just need to scan the code to access the photos you’ve saved there. What a fun way to share memories on your special day and beyond! Weddings are a celebration of love. Of course, they celebrate the love of the bride and groom for each other. But they also celebrate the love of each family – the bride and groom’s parents, siblings, and extended families. 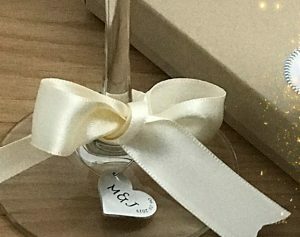 It’s those families who are coming together to shower their affection on the newlywed couple, giving them gifts (often including helping to pay for the wedding itself! ), sharing a meal, and dancing into the night, all to express their joy and love. And just as much as family, weddings celebrate the love of friends, too – those good friends who stand by us through thick and thin, whom we’ve chosen as maids of honor, bridesmaids, best men, and groomsmen. They take time out of their busy lives to express their love for us by helping with the wedding planning, trying to ease the bride’s stress as much as possible, and sharing gifts, laughter, and love at the wedding itself. Don’t all of these beloved family and friends deserve to be shown just how much you appreciate and love them with a special, one-of-a-kind gift? So take a look at our new Personalized Bridal Collection today. 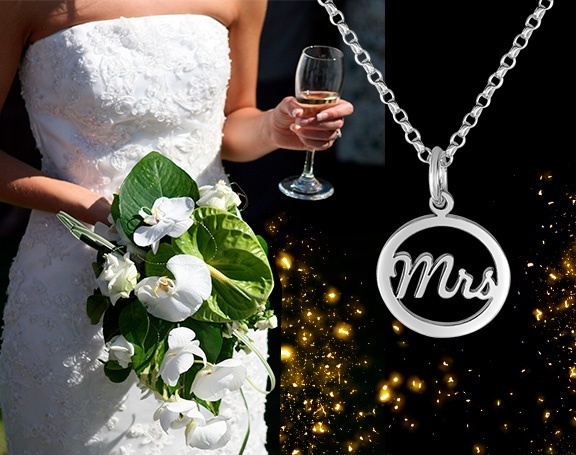 I would be honored and thrilled to play a role in your wedding, and in celebrating your love with family and friends, by engraving jewelry to commemorate your special day forever.